Sesame Workshop is teaming up with Apple to develop a new show called Helpsters that helps kids learn computer coding skills. Several big-name talents were present at the “It’s Showtime” event to speak about their new projects, but no trailers were shown. Apple promised that subscribers to the new platform will “enjoy inspiring and authentic stories with emotional depth and compelling characters from all walks of life, ad-free and on demand.” New programming will be added every month. Apple TV+ will work on the TV app for iOS and Apple TV, on the Mac via a TV app to be released later this year, and on smart TVs that can now run Apple's software. The tech giant provided a few details about projects that are currently in the works but left several questions unanswered. For example, Apple didn’t say which shows will go live at the launch of the service or if its lineup of shows will be distributed all at once or weekly. Eddy Cue, Apple’s senior vice president of Internet Software and Services, described the initial unveiling as a “sneak peak of Apple TV+” and added that the company “cannot wait” for viewers to tune in starting this fall. “Apple TV+ will be home to some of the highest quality original storytelling that TV and movie lovers have seen yet,” Cue said in a press release. Apple said pricing and availability for Apple TV+ will be announced later this fall. “Consumers may be entering a time of subscription fatigue,” said Kevin Westcott, vice chairman of the consulting firm Deloitte, which last week released its latest Digital Media Trends survey. The survey found that nearly half of consumers felt there are too many options and too many monthly fees to keep track of. 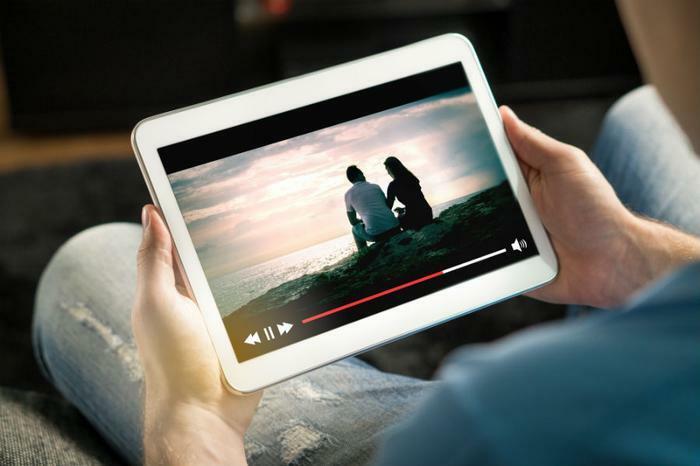 Media companies eyeing a piece of the streaming market share need to “keep a close eye on consumer frustrations, including advertising overload and data privacy concerns,” Wescott said.